Create your own custom made coat here. Speak to a stylist and let them know what you had in mind. It's best if you send over some pictures of looks you like! Crafted from a wool cashmere blend fabric, all of our coats are made from high quality materials, laser-cut & hand-finished. Your stylist will also discuss the finer details with you! 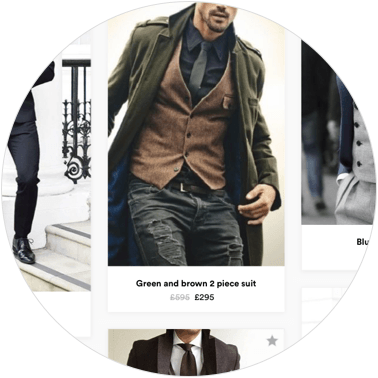 Our most popular customisations are lining, embroidery, and buttons, but absolutely anything you like about the coat is customisable and we can accommodate almost any request - so feel free to send across a specification if you've been dreaming about that perfect coat. Every item is made to order to your exact measurements and preferred fit. We’ll ask you to submit your measurements and a couple of photos after checkout. But don’t worry, measuring yourself is really straight forward and we'll be available if you have any questions. Find out more about measurements and our fit guarantee. If you need a bit of extra help after you've purchased your coat, you can visit us in our London offices. After purchase, you’ll receive an email link to book in for an appointment. 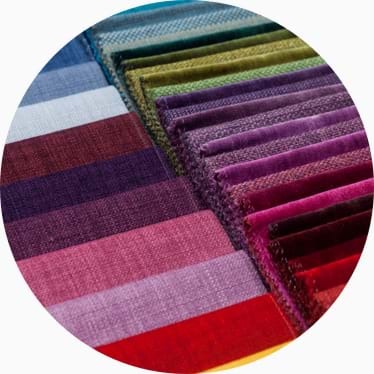 Our coats fabrics are made from pure wool and wool/cashmere blend. Keeping you nice and cool in the summer and warm in the winter months. Customisations are included in the cost. Go wild or not. 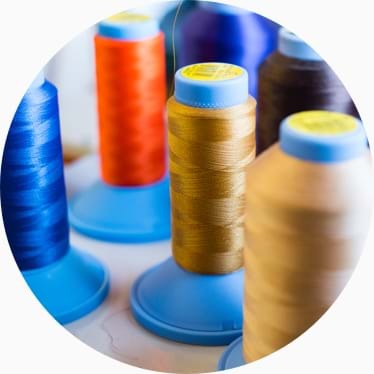 It's up to you but have a play by changing coat colours, buttons, linings, thread colours and more. Send us a message for more details. 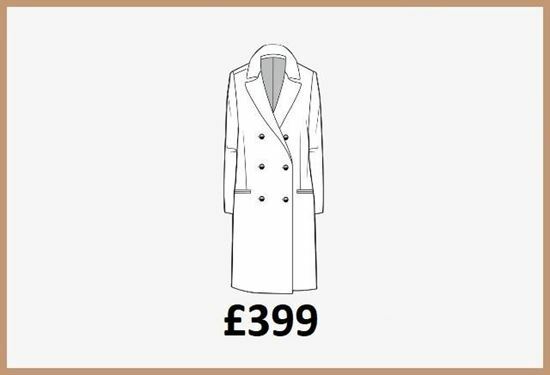 Take a few simple measurements at home and send us a few photos of yourself, and we'll make a coat that fits perfectly (all our coats can be made to fit skinny, slim or classic). If you'd still like to make adjustments after delivery we'll give you £35 towards alterations at your nearest tailor. The shoulder seam should end at your natural shoulder line. If you prefer your jacket a little longer or shorter, just tell us. Your trousers should extend beyond the heel of your dress shoe. Our state-of-the-art factory uses laser-cutting and a 300 step hand-crafted process to guarantee a sophisticated fit specifically for your body. Laser cut precision fabric pieces. 300 step build and quality control process. Hand-crafted for that human touch. 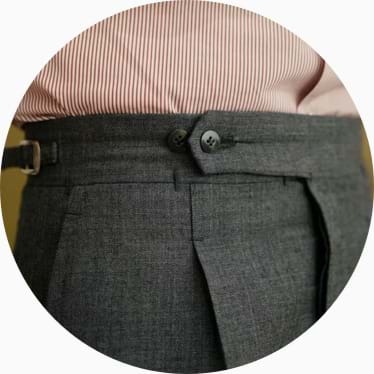 It'll fit your body to the measurements you sent us but if you'd like to make any further adjustments we provide £35 worth of alterations at your nearest tailor. We're so good at getting the fit perfect that only 1 in 6 customers take us up on this. 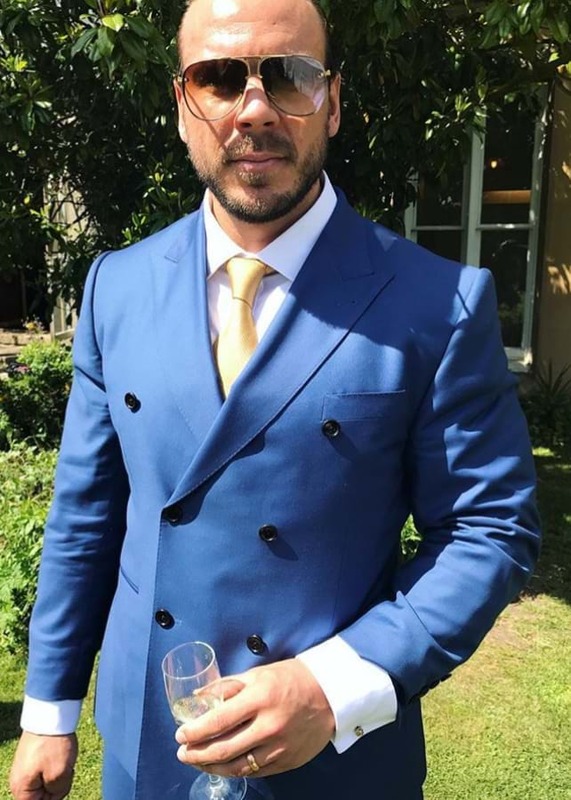 Gareth found it difficult to ﬁnd an off-the-rack suit to ﬁt his broad frame - with the help of his three photos we got him the perfect ﬁt ﬁrst time without the need for alterations. Browse styles and filter by key characteristics so you choose the look that fits your vibe. Can't find the right style in the gallery or already have something in mind? 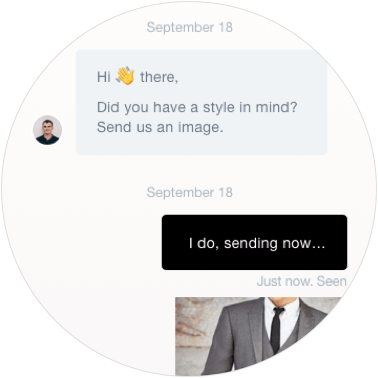 Send us your style image over instant chat and we'll take it from there.